Since starting blogging, they have also been one of my dream brands to work with, so you can imagine that there was a lot of squealing and a couple of happy tears when they invited me for a meeting! Honestly, blogging career highlight right here! I was also absolutely blown away when one of the perfumes they very kindly gifted me was my all time favourite - Peony and Blush Suede*. The other was English Pear and Freesia*, one that I had only tried in store and loved. 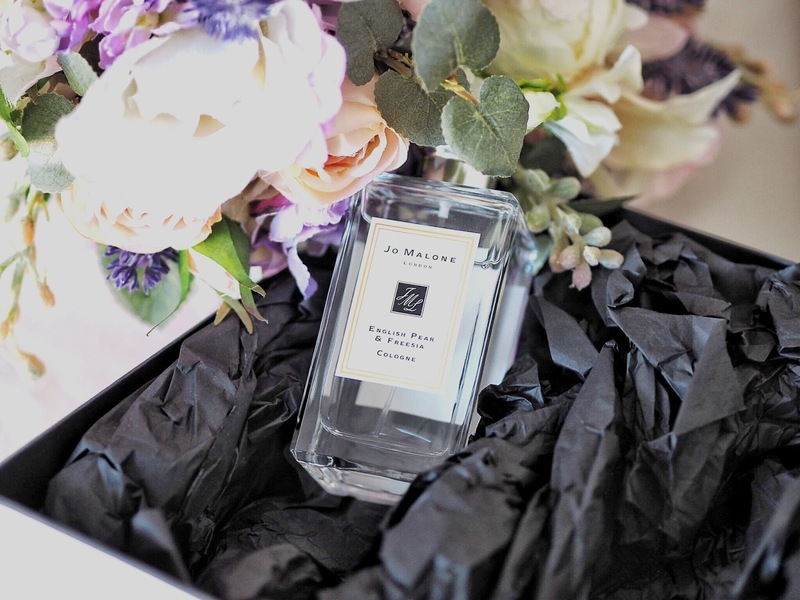 I was recommended to try them together as Jo Malone are famous for their fragrance combining. You can basically mix any of the colognes and create a brand new, unique scent! Needless to say I am absolutely in love with these two scents together but also on their own too. Peony and Blush Suede is such a classic and every time I smell it I instantly know exactly what perfume it is. 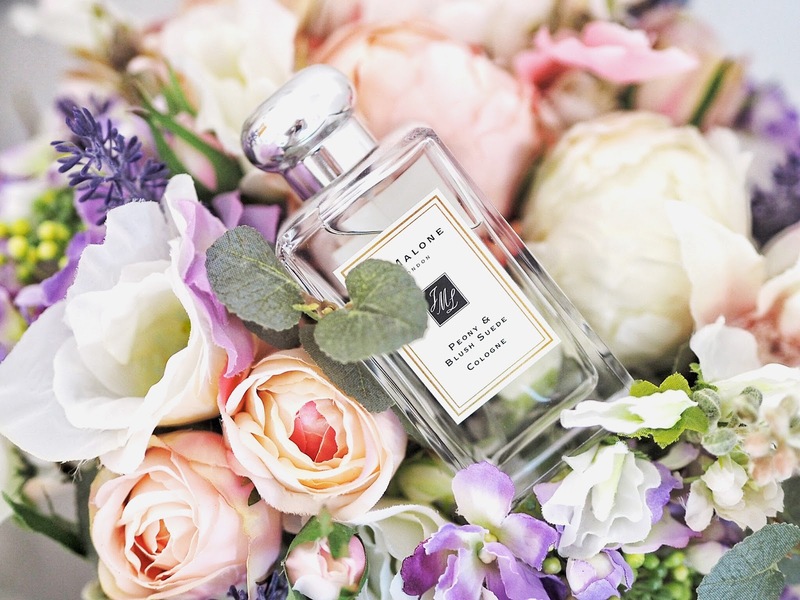 But when I layer the English Pear and Freesia it adds a whole new level of floral goodness to the scent. 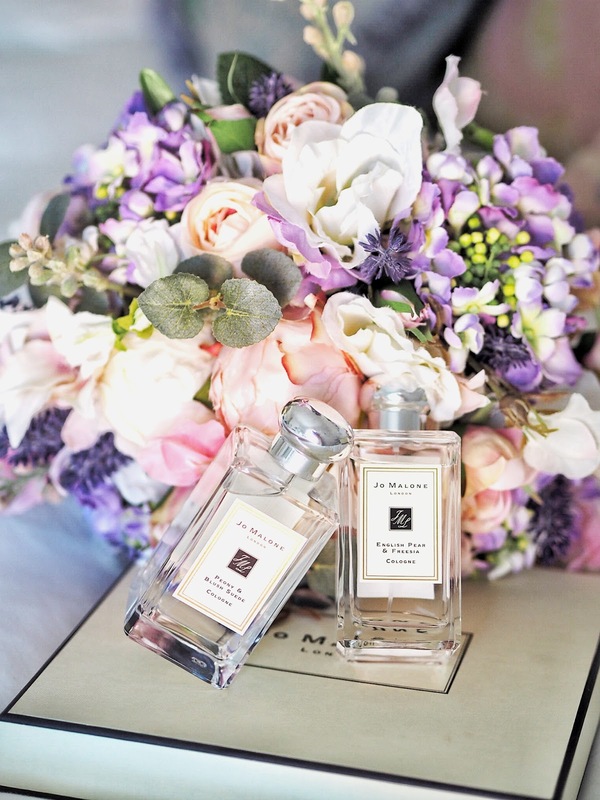 I would definitely recommend popping into your local Jo Malone boutique and pairing up some fragrances, especially these two! The gals in store are always so helpful and they even do consultations so you can find your perfect scent.